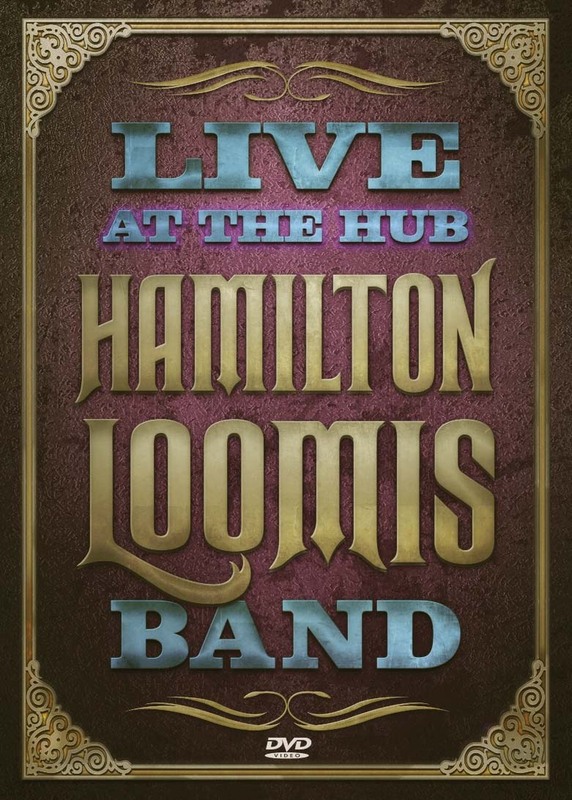 I got a copy of the new Hamilton Loomis DVD - Live At The Hub today and here I am sitting on a FRIDAY NIGHT writing a review... WHY? Because I couldn't wait to see it! And because I couldn't wait to tell you what I thought!! Well, I gotta tell you I am always concerned when I set myself up like this for something to be great and then the moment of truth comes... IT IS!! The show starts off with Best Worst Day and the band doesn't hold back for a minute. They are blazing right out of the gate! I have to commend the production crew before I go too far cause I am watching this incredible film (quality) and am also running the audio through a custom surround system (JBL studio monitors with 12" woofers and a Sunfire sub) and the bass is thumping the walls, every string snap is lifelike, the drums are crisp and articulated, the vocals are clear and in balance and the guitar is clean and the harmonics are clear and sax perfectly sequenced ... the mix is just perfect. There is no muddiness and the separation is terrific. Now back to the music! Loomis really works (and I use that term carefully because the band is having so much fun it's hard not to get sucked right into it) this show! It's really a pleasure to see a band enjoying what they are doing as much as I am watching. You already know that Loomis is an excellent guitar player, harmonica player and I personally think he has one of the most captivating voices in the business... absolutely perfect for the music that he plays. Stylistically I think he's right on it. No one else is doing what he is doing musically and he does it soooooo well! He shares the stage with the band as opposed to dominating it and has numerous exchanging of riffs on everything from Elvis Costello to the Guess Who. I know that you all don't know from previous writings that I am a real Loomis fan but this DVD is terrific! The band melodies are perfectly mixed and each solo riff, whether it be on the bass, drum, sax, keys, harmonica or guitar stands out from the band without being loud. Just cutting through the mix as if it was planned... go figure! One thing I love about his singing style...and he doesn't overdo it but when he does it it always makes me smile.. he stops the music and continues to sing...the rhythm continuing. It just helps to cement the groove. The editor took the opportunity to insert a few extremely short interview clips into the performance. This is not at all distracting and actually adds to the enjoyment. It's funny though that some of the comments made by Loomis were already notes on my pad for this review...dang it!! Loomis plays some great slide and it's not a beer bottle... No No No!! (you gotta see)! In one short interview (I won't take away all of the surprises) Loomis tells a story from his childhood and you can just see the genuine "nice guy next door" and you have to smile. As a bonus feature there is an extensive interview with Loomis and each band member takes us through their gear piece by piece, yes...Loomis explains what that thing is that holds his harmonica! I found this segment very entertaining as well...but you know that I'm a gear head. 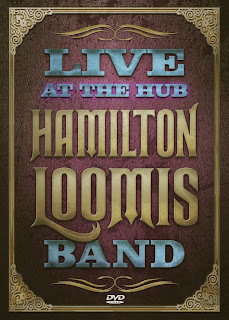 The band is Hamilton Loomis (Vocal, guitar, harmonica); Kent Beatty (Bass, Vocal); Stratton Doyle (Sax, Keyboards, Vocals) and Ryan Cortez (Drums). If you've heard Hamilton Loomis...this is everything that you could possibly want and more. If you haven't heard Hamilton Loomis...crawl out from under the rock you've been living under and watch out...the bright sun can burn in minutes! DVD RELEASE PARTY - ELLIOTT COHN OPENS!